Cyclist has been hit by a car. 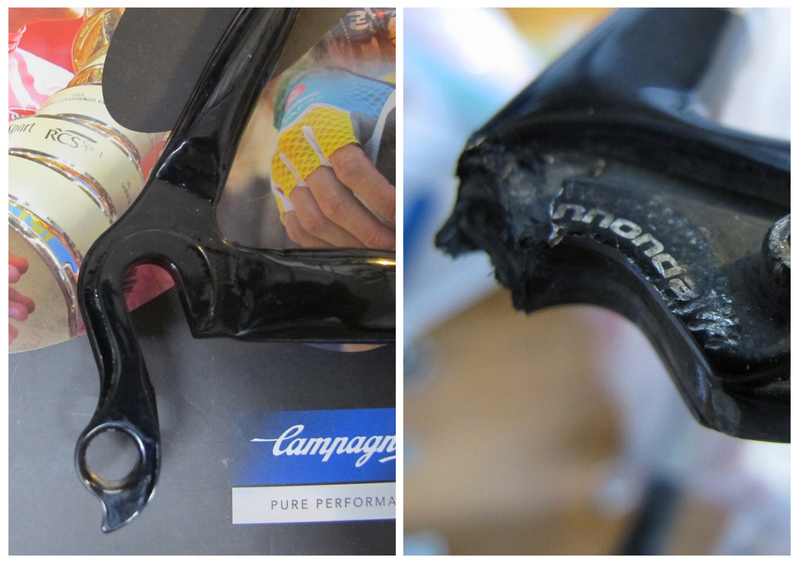 Fortunately cyclist’s health is fine. 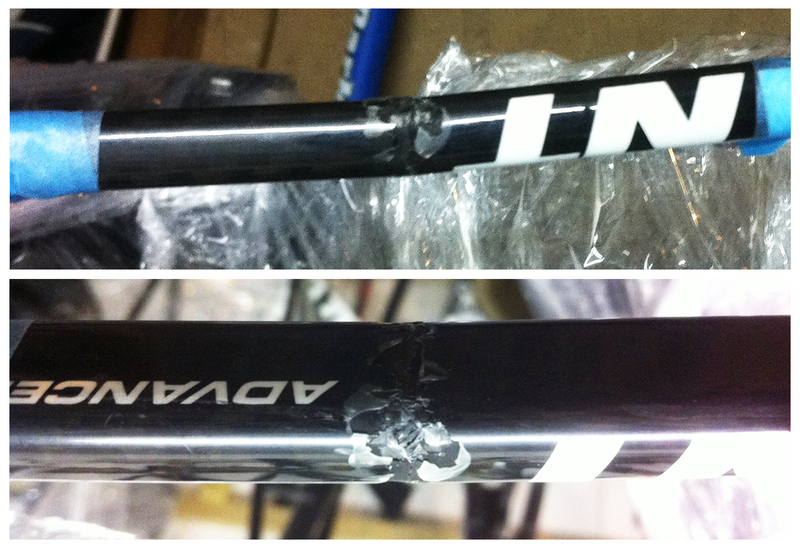 Bicycle got damaged on a seatstay, which cracked and aluminium dropout has bent. We have straightened the dropout, restored structural integrity of a composite and re-jigged the rear end of the bike to make sure that spacing and alignment is as it supposed to be. Cyclists, watch for cars. Car drivers, watch for cyclists. This beautiful Cayo, which was inherited by a lucky guy from our beloved Kinoko store, has suffered from attempt of robbery. 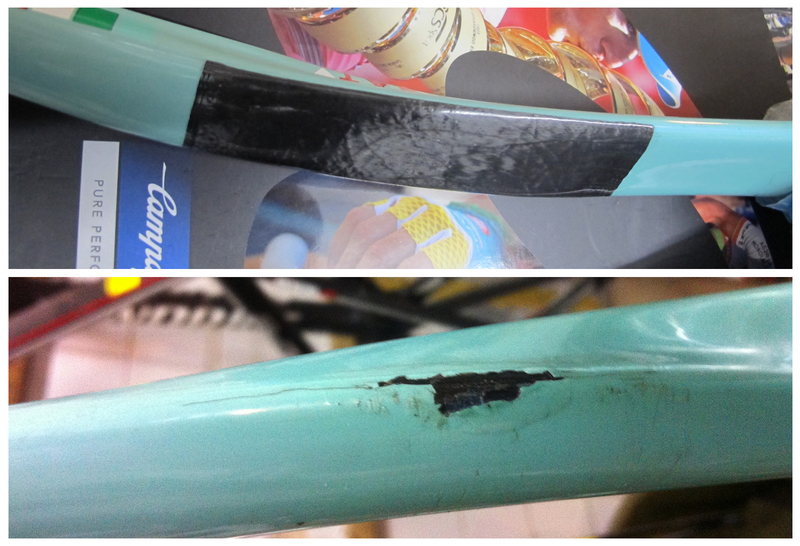 A seat tube had 360′ crush damage, which caused delamination of layers all the way around the damaged area. Integrity of composite structure was lost and original shape of the tube was distorted. Here you can see how damaged area looks after repair has been done. Make sure you lock your bike in a safe place. 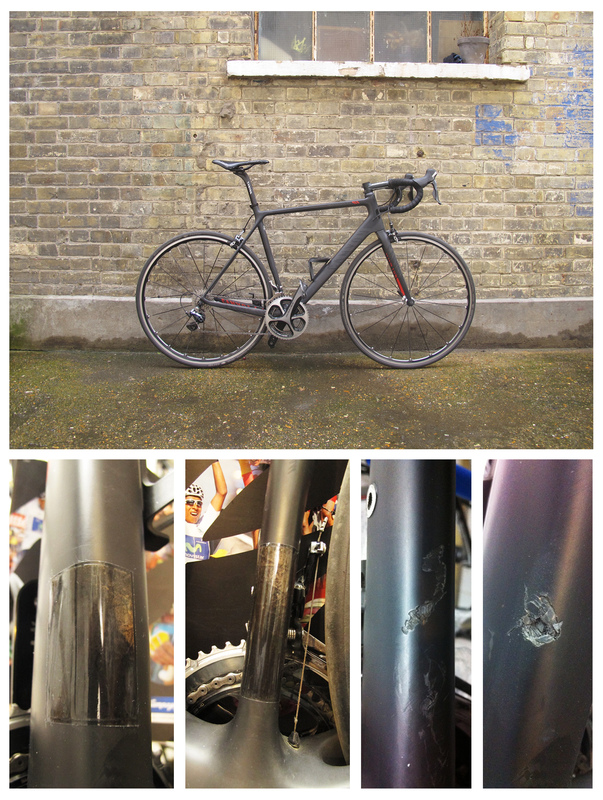 Robert arrived to our workshop as during the race one of his spokes snapped off and hit chainstay. It cut out a piece of carbon fiber and impacked caused a crack. Repair is done and Robert’s Infinito is back on the road. Paul has posted his Colnago to us from Wales. 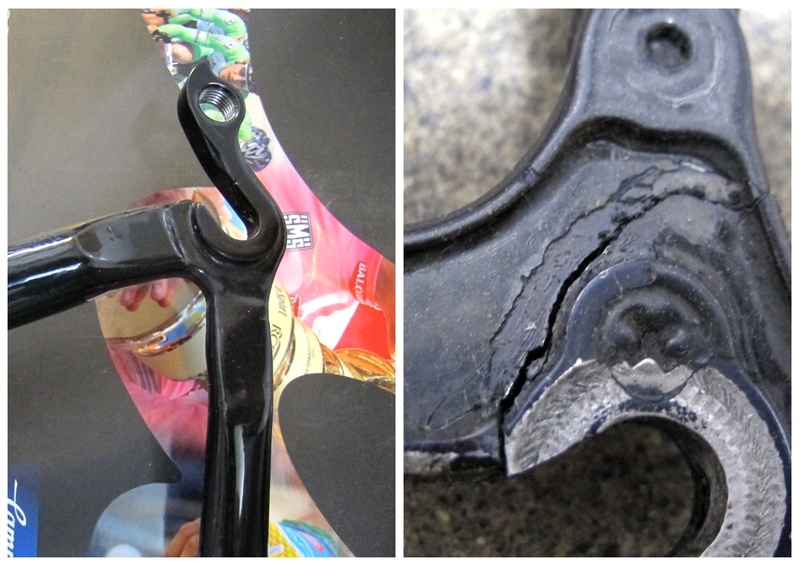 Original aluminium Colnago dropout has cracked due to climbing in Wales. Dropout has been replaced with CNC’ed titanium dropout to ensure that it will last forever.